FREDA’S TOP WRITING TIP: Write. Find time to write every day, even if it’s only a sentence, and don’t be afraid to use a freelance editor to go over your work before you submit it. Most publishers don’t go past the first few pages of a submission and if you’ve missed a grammatical error that could be enough to turn them off. Why do you write? I write because it makes me happy. Simplistic I know but when I write I lose all sense of time and immerse myself totally in words. What would you be doing if you weren’t a writer? That’s easy, what I already do when I’m not writing: helping on the farm. There is nothing more uplifting than being out in our beautiful countryside moving a mob of sheep or cattle on horseback, or watching with awe and wonder a newly planted crop emerge and grow. What was your toughest obstacle to becoming published? Getting someone to take my work seriously. What’s the best aspect of your writing life? The best would have to be getting reader feedback; it is a wonderful feeling knowing that someone loves some aspect of your book as much as you do. —the worst? Dealing with rejection. What would you do differently if you were starting out now as a writer? Strangely nothing. The process of becoming published is a very humbling one, rejection is tough but if you believe in your story enough you bounce back, even if you do get a little bruised. What do you wish you’d been told before you set out to become an author? That it’s tougher than you think, the pay is pitiful for the time you put in, but it IS worth it. What’s the best advice you were ever given? Just write. I had a coffee with an author I saw at a Writers Festival a few years ago who happens to live only 120kms away (almost a neighbour in the bush). I nervously rang her and asked if we could meet as I had a story idea. She sat and listened to me patiently, looked me in the eye and said, “Write it down.” Best advice. With those three simple words I realised I didn’t need approval, if I believed in my story I could do it. Former sheep shearer, dingo trapper and horse breaker Hugh Tindall reminisces on his extraordinary life in outback Queensland. From a poor man’s selection on the Diamantina in 1928, to owning six large stations with his family. From shearing his first 100 sheep a day at the age of 16, to organising sheds in the long running 1956 shearers’ strike. Hugh is a natural storyteller and his story is part of a turbulent time in the outback, raising sheep in the far west and central Queensland, where sheep now roam no more – a history he is extremely knowledgeable and passionate about. Hugh’s narrative is a nuanced reflection of his position as a grazier’s son who worked alongside shearers, and an affectionate recollection of a time when Australian wealth still rode on the sheep’s back. 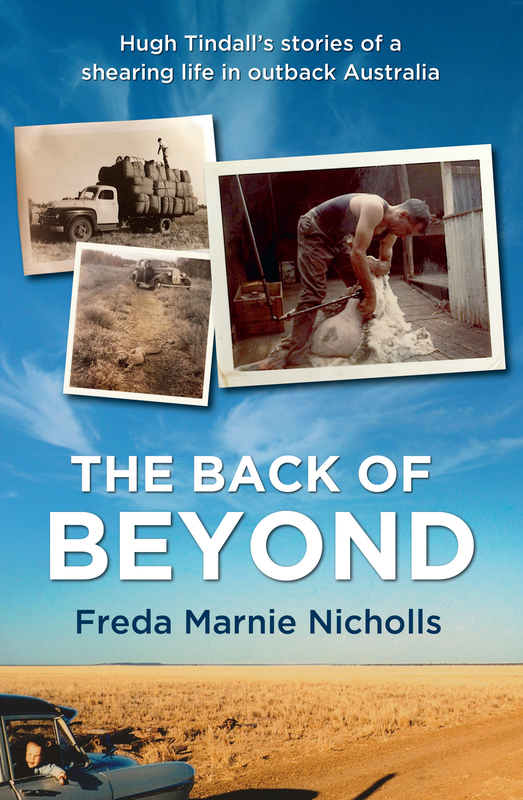 Told in his own voice, BACK OF BEYOND is an honest account of life in isolated western and central Queensland, where the tough survived or died. CRISTY’S TOP WRITING TIPS: Tip #1: Stop aspiring to be an author and start being an author: write, write, write and read, read, read. Seriously. You owe it to yourself. Tip #2: Burn your TV (preferably in an environmentally sustainable way). 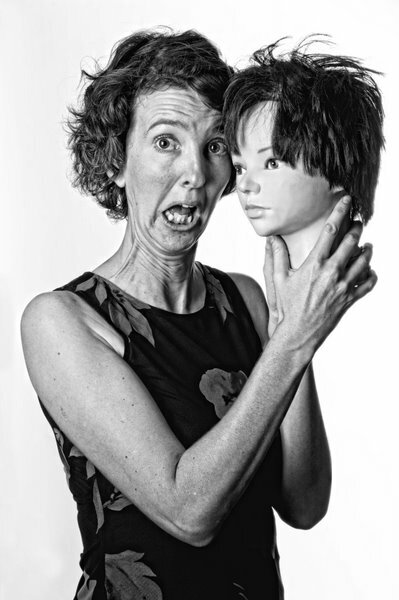 Cristy Burne has worked as a science circus performer, garbage analyst, Santa’s pixie and atom-smashing reporter. Cristy’s Takeshita Demons books are inspired by her years living in Japan, a healthy fear of ghosts, and a plastic head she found in her rubbish bin. They have sold more than 30,000 copies. Based on Japanese folklore, the series features mythical demons, called yokai, traditionally used to teach manners and explain spooky phenomena. Takeshita Demons won the Frances Lincoln Diverse Voices Children’s Book Award for multicultural children’s writing. 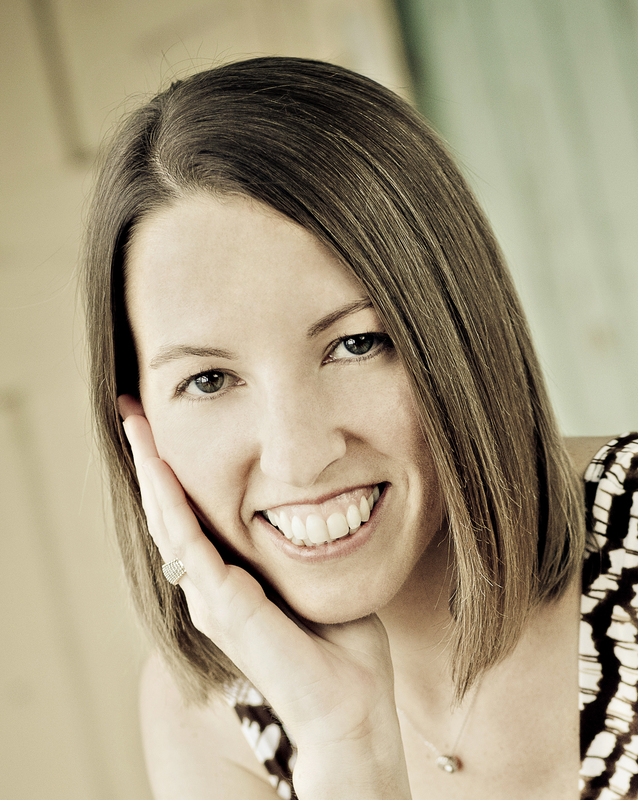 Cristy is also a science writer, with degrees in biotechnology and science communication. 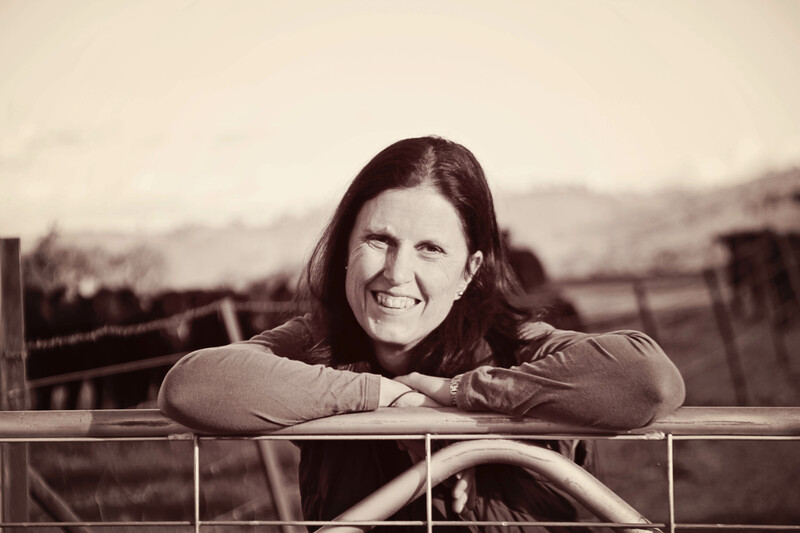 A freelance journalist, Cristy has edited and contributed to CSIRO’s Scientriffic magazine and was editor of CERN’s computing newsletter when the Large Hadron Collider was turned on in Geneva in 2009. Why do you write? I write because it’s fun to create something out of nothing. You start with some vague ideas, then you tap away at something until a fully-fledged story appears with fully-fledged characters. But before you began, there was nothing. It’s very rewarding. What would you be doing if you weren’t a writer? I’d like to be a veterinarian at a zoo: exciting, useful, something different each day and doing my part to save the planet. What was your toughest obstacle to becoming published? Worry. I worried that every minute I spent writing was wasted, that I was writing rubbish, and that I would never be good enough to make it as an author. I worried that I should be doing something healthier, like a real job or an exercise routine or a social life. Now I realise that being a writer can co-exist with all these things, but I still wrestle with those other worries most writing days. What are the best aspects of your writing life? I can manage my own hours, I can work from home and my work is motivating and creative. -The worst? The long lead-times and wait-times between starting a project, submitting a project, having a project rejected or accepted, and then f-i-n-a-l-l-y seeing the project come to life as a book. What would you do differently if you were starting out now as a writer? Nothing. My path to publication involved hard work, practice novels and lots of rejection. This isn’t the only path, but it’s a proven one. What do you wish you’d been told before you set out to become an author? Nothing. I’m still an emerging writer, with a career that is only just finding its legs, let alone wings, so I’m happy to keep doing what I’m doing and not change anything. Slowly but surely, I’m working towards greater publication and greater success, and I’m loving the journey. What’s the best advice you were ever given? Write, write, write. Read, read, read. The writing is your job, so if you don’t write, you’re not a writer. The reading hones your tools as well as supporting your industry (as well as being just an incredible way to spend your free time J J). Shape-shifting foxes, samurai crabs and a seriously cranky octopus… The balance of the worlds is again under threat and Miku must travel to the Dragon King’s underwater kingdom to put things right. Book 4 in the award-winning TAKESHITA DEMONS series. 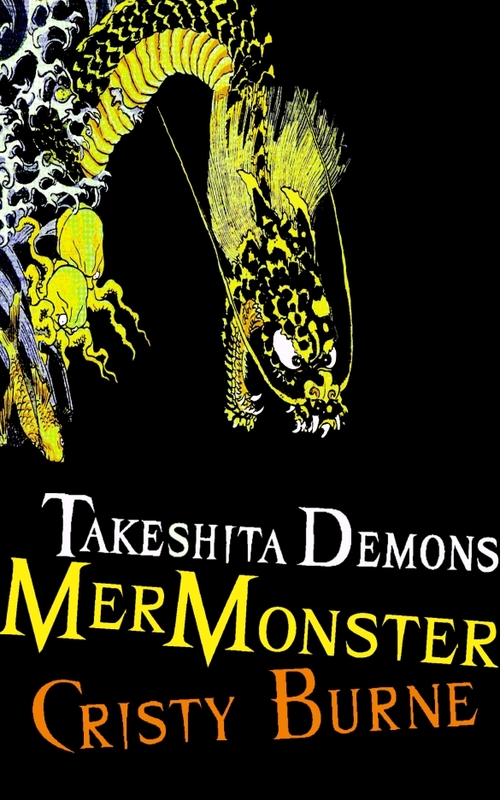 TAKESHITA DEMONS was selected for the 2010 Booktrust Booked Up program, won the 2009 Frances Lincoln Diverse Voices Children’s Book Award for diversity in children’s writing, and was featured on the BBC’s Blue Peter in 2011. ROBERT’S TOP WRITING TIP: Writing and publishing are two entirely different activities that are connected only tangentially. Don’t think about being published, or not being published, while you are writing; it will screw with your head. Write the best book you can, that you are proud of, and only then start worrying about publishers. The publishing world is changing rapidly; it’s impossible to imagine a potential readership while you write, so write for yourself. Robert Schofield grew up in the suburbs of Manchester, in the north of England, and won a scholarship to the local independent school, Stockport Grammar School. In 1984 he won the school’s John Moult Memorial Essay Prize for creative writing, which won him a handsome volume of the complete works of Shakespeare. Despite this early promise of writing talent, his proficiency in mathematics and science won him a place at Emmanuel College, Cambridge to read Engineering. He scraped through Cambridge with a modest degree having pursued his own curriculum that included theatre, revue, music and politics, with some engineering thrown into the mix. He was part of a theatre company that took two shows to the Edinburgh Fringe in ’86, and that brief theatrical career ended in front of an audience of three on a rainy Scottish afternoon. He was an elected delegate to the National Union of Students Conference, in the year that Margaret Thatcher removed universal access to higher education. The highlight of his political career was being hit on the back of the neck by an egg intended for Ken Livingstone. After graduation he moved to London and started a career as a structural engineering consultant, designing signature architecture for the likes of Foster, Rogers, Grimshaw, Hadid and Alsop. His portfolio includes East Croydon Station, The Eden Project, Madrid Airport, Lichfield Theatre, and the London Imax Theatre. He took time out to travel through Europe, Asia and the Americas, ending in Australia where he met his wife, Jacqui. Finding no call for creative architectural engineering in Perth, he adapted his skills to the mining and offshore industries. He is currently Principal Structural Engineer for an engineering consultancy, designing minerals processing facilities for the gold and metals industries in Western Australia and Africa. The idea for HEIST came on a site visit to an abandoned gold mine in the desert, and was inspired by pub conversations with mine workers trying to conjure elaborate hypothetical schemes for stealing gold. The book uses stories and characters collected from his time in the gold industry. Robert Schofield lives in a house he designed himself in Inglewood, with his wife and three children: Jackson 9, Charlie 5 and Emma 4. Whatever time he has left after working, writing, and wrangling three young children, he spends reading, cycling, kayaking, and maintaining his scooter: a beautiful 1970 Vespa Rally. Why do you write? I came to writing late. I’d won my school’s creative writing prize, which scored me a handsome volume of the complete works of Shakespeare, but despite this early promise of writing talent, I thought myself more proficient in mathematics and science. I chose to read Engineering at college, and then pursue a career in engineering. I never thought about writing a novel until one bored evening thirty years later when I was lying on a bed in a donga on a gold mine a thousand kilometres from nowhere in particular. During all this time I had been writing, but nothing concrete. Mostly I had been active on the internet, anonymously contributing to news sites, satire and current affairs. My work came to the attention of the editor of a local news website, and he asked me to write a column for him: something topical, irreverent and scabrous. I thought about it and decided that as I wasn’t an established writer, I didn’t have the credibility necessary to pull it off. Nevertheless I had enough people telling me that I had talent as a writer that I began to think it might be put to better use than making mischief on the internet. What would you be doing if you weren’t a writer? I’m still working full time, so I’d be doing my day job and feeling restless. What was your toughest obstacle to becoming published? I had a pretty easy ride getting published. I was taken on by the first agent that I approached, and he sent my first book to the Big Six publishers. I got five rejections and then a two-book deal with Allen & Unwin. It was four months from finishing my manuscript to getting a contract. It took me a while to understand how extremely lucky I was. What’s the best aspect of your writing life? It’s an excuse to lock myself in my shed and shut the world out, which is an extremely selfish thing to do. Luckily I have a family that lets me do that. Sometimes they even encourage me to go away and leave them alone. Writing has also introduced me to a whole new group of fascinating people: both writers and readers. …and the worst? Finding the time to write between a full-time job and a full-time family. I have to fit the writing in at the end of the day when the kids are sleeping, or steal an hour here or there. What would you do differently if you were starting out now as a writer? I can’t say I’d do anything differently as a writer. I made a few mistakes when first dealing with my publisher. There’s a delicate balancing act between standing your ground and accommodating valid input, and I got the balance wrong. I had been used to speaking plainly and directly in my day job in engineering, and that didn’t work so well in the world of publishing. It took me a while to learn to talk like a luvvie. What do you wish you’d been told before you set out to become an author? Be nice to your publisher. Do everything that is ever asked of you and be very grateful for everything that your publisher does for you. What’s the best advice you were ever given? Always carry a notebook. And I mean always. The short-term memory only retains information for three minutes; unless it is committed to paper you can lose an idea for ever. I have a tiny notebook in my pocket at all times, plus a small pen. I write down all sorts of things that occur during the course of my day: story ideas, snippets of overheard conversation, things I read in the paper or on the web, book recommendations, shopping lists, telephone number, everything. 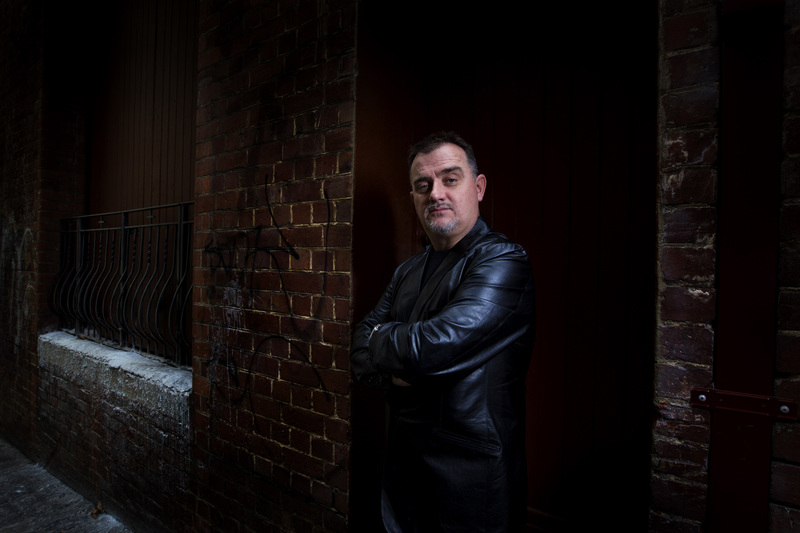 Gareth Ford returns in the gripping sequel to Robert Schofield’s rollicking goldfields adventure, Heist. Ford is working in the iron mines of Newman in Western Australia but his involvement in the Gwardar Gold heist is still hanging over him. One morning he returns home from the night shift to find his housemate dead on the sofa, and the local cops waste no time in treating him as a suspect. Ford fears that he himself was the intended target, and soon realises he is being tailed. 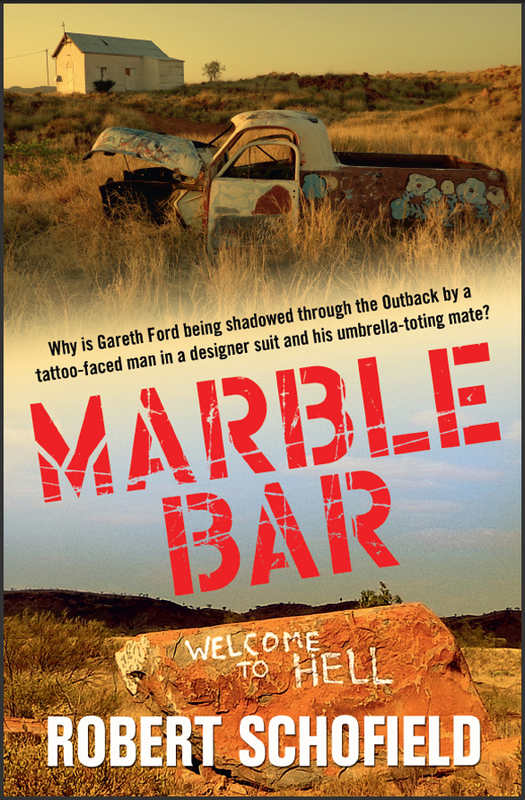 He summons his old ally from the Gold Squad, DC Rose Kavanagh, and they find themselves in Marble Bar, searching for the Gwardar Gold while being pursued by a variety of desperadoes, each with their own agenda. SARAH’S TOP WRITING TIPS: Stay true to you, don’t compare yourself to other writers, write, edit your work, revise, edit your work again, and work with a really great editor! Most importantly, stay positive and keep writing! Why do you write? If I didn’t write, I’d be in some sort of support group for social outcasts. I don’t have anything against support groups, but writing seems to be a good way to express the pent up emotions and feelings that I sometimes need to release. Joking aside, for as long as I can remember, writing has been the most authentic way I can express myself. My first memory of feeling the need to write was around age seven. Since then, it’s never gone away. There have been times when I needed to take a break, but my entire life, it’s something that’s always been with me…the urge to fill up blank paper with words. Sometimes, I wish I could stop because I tend to obsess about writing. When I’m not writing, I’m thinking about writing. But I can’t stop. Maybe, I need to join a support group for my writing obsession. What would you be doing if you weren’t a writer? I have a plethora of interests, but in the past couple of years, I’ve seriously become interested in maintaining a healthy lifestyle. So, if I weren’t a writer, and I somehow avoided that support group I mentioned earlier, I’d probably be the world’s craziest health nut. My husband says I’m practically there already, but if I didn’t do anything else, I’d turn up the crazy a little more. I’m already vegan, but vegans can eat junk food if they want. Unfortunately, when I’m really knee deep in a project or manuscript, glued to my computer for hours on end, I tend to eat convenience foods and vegan junk food too much. But if I had every minute to devote to it, I’d try to educate people about how to make healthier choices. I’d combine my culinary arts degree with the nutrition knowledge I’ve picked up over the past 10 years, and I’d try to spread awareness about eating organic, healthy, non-processed, simple foods. I’d try to show people how to make traditional foods they cook healthier. I’ve experimented with this when I can, and I’ve managed to turn my great grandmother’s banana bread into a delicious healthy and vegan banana bread now. You can do that with lots of traditional recipes. I’d encourage people to support healthy restaurants and organic farms. I’d grow all of my own organic produce for my family, and I’d make everything from scratch. Right now, I make a lot from scratch and try to avoid processed foods. I juice every day, make lots of raw vegetable and fruit smoothies, don’t drink alcohol, avoid sugar and sweeteners, make homemade bread, and I maintain a vegan diet. But believe it or not, with my schedule and trying to write and raise kids, I don’t have time to be as crazy as I’d like to be in the health department. My poor husband jokingly calls our house ‘rehab’. He’s probably glad I’m only a part-time health nut. I’m sure he suspects and fears where my health nut quest could go. The good news for him is that I am not interested in a career change. What was your toughest obstacle to becoming published? The first few years, I was trying to query agents because I thought that was the only way to get published. As many writers know, agents don’t typically read anything you’ve written except the query letter you send them trying to sell them your book. So, after a while, it was tough getting rejection letters from agents who hadn’t even read anything except my one page query letter. Fortunately, I started a blog, got an audience, and it was a positive experience, which eventually led to my first novel being published by a small press. If I had let those rejection letters get to me, I might never have started a blog or ended up where I am now. I’m glad I didn’t give up or stop believing in myself. What’s the best aspect of your writing life? Honestly, the best part is when I get emails from happy readers, which isn’t an everyday thing, but it happens! —the worst? I hate it when I’m intensely inspired, the words are flowing, I’m typing away, and then unexpectedly something comes up that requires me to stop. I have to drag myself away from the computer when that happens. What would you do differently if you were starting out now as a writer? I wouldn’t try so hard to get the approval of my friends and family. I’d just write what I want to write without feeling the need to explain myself. People are reading my books, and there is an audience for every genre. What do you wish you’d been told before you set out to become an author? I wish someone had told me not to listen to every single person who claims expertise in the field. If I listened to every person who has offered me suggestions, solicited and unsolicited, since my first book was published, I wouldn’t be able to put two words together anymore I’d be so paranoid about following all of the rules and guidelines. It really doesn’t matter what works for one “successful” author, you’ve got to do what feels best for you. Tune out the “world” and listen to your heart. Rare glimpses of birds are the only reminder of the freedoms Rain Hawkins once had. Now segregated into a mixed-race zone within the United Zones of the Authority, under tyrannical rule of President Nicks, Rain is forced to endure the bleak conditions set upon her. The possibility of a way out arises when Rain discovers an organised resistance called The Freedom Front, and learns that she, along with many other multi-racial people, has special abilities. Determined to overcome her situation, Rain sets out on a mission with the resistance that will fill her life with wonder, romance, and the undying hope for a better world.